Three Good Rats: There's gold in them thar hills! In the last days of the Old West, the unexplored areas in Alaska and the Yukon beckoned. After the California gold rush the search for wealth continued and some started exploring these new areas. 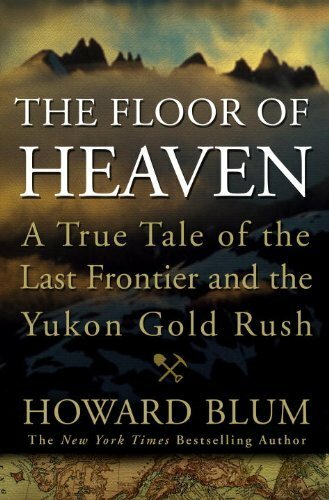 The Floor of Heaven follows the trails of three men whose paths converged during the this exciting time in the far North. Charlie Siringo, a former cowboy searching for a new path, married his true love but after being left widowed started a new career as a private detective. George Carmack, a military man gone AWOL joined a tribe of Native Americans and went on to become the man who first discovered gold in the Klondike. Finally, Jeff "Soapy" Smith, a gifted con man, was always looking for the next place take his game and ended up practically owning the boom town of Skagway. These three fascinating men are at the heart of the book, and Blum creates tension and anticipation as the reader watches their separate paths slowly converge. Blum acknowledges the number of conflicting stories about the events and, based on extensive research, has chosen which parts seem most likely to be true, weaving them into a well-crafted story of adventure, hardship, and violence. Adding so many details about the men's personal lives and families, as well as their adventures and aspirations, makes them more three-dimensional and realistic. It's a fun tale to read, but also an important part of US history that I knew almost nothing about. There were some surprising elements in the story, such as when George Carmack finds gold and immediately tells everyone he meets so they can stake claims in the same area. He was sticking to the unwritten prospectors' code at the time, but it is completely counter to the competitive and secret way in which we would do things nowadays. Also included were some brief asides about Billy the Kid and Butch Cassidy, who I've always thought of as legend. But they were indeed real and crossed paths with the characters in this book. 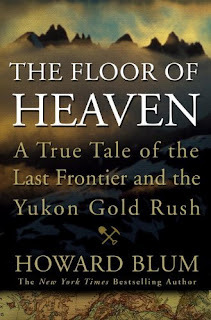 If you want to learn more about this part of American history, or are just looking for a story of exploration and adventure, the Floor of Heaven is an excellent bet!